Today's hours: 11 a.m to 3 p.m.
Monday - Saturday 11 a.m to 6 p.m.
Sunday 11 a.m to 3 p.m.
Gryphon is the premier dining destination of the Savannah College of Art and Design, carrying on the tradition of Savannah hospitality and delicious food. Gryphon's coveted corner position on Savannah's Madison Square invites you in with its timeless 1926 Scottish Rite architecture. The elegant interior features white-clothed tables, carved mahogany bookcases and original stained-glass panels conveying warmth and grace. 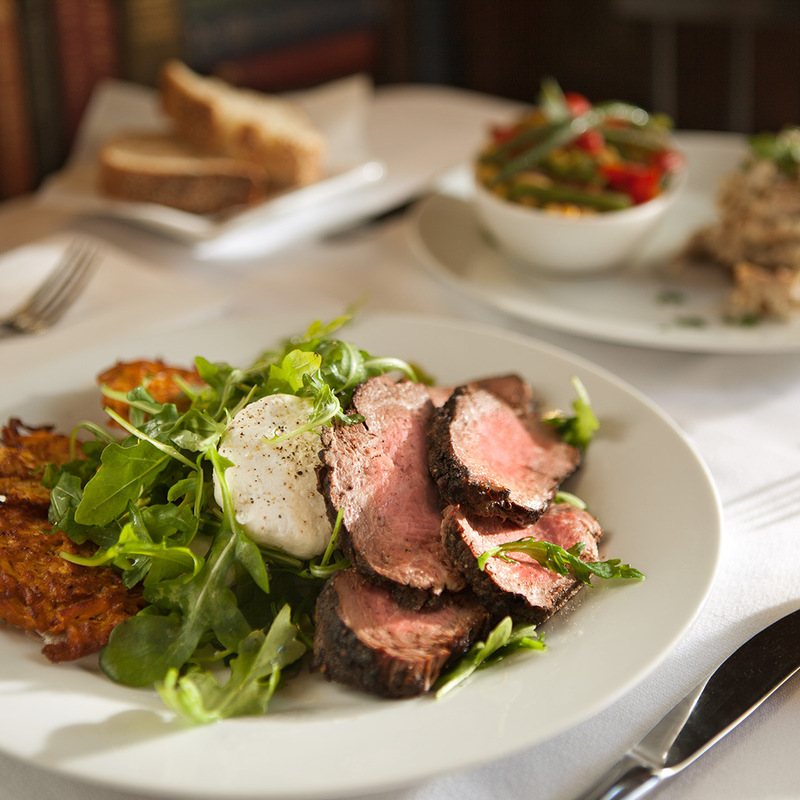 The café serves signature favorites and fresh, seasonal offerings. The ingredients come from local purveyors who believe, as we do, that the best food is fresh and local. Savannah's renowned tradition of hospitality is alive and well at Gryphon. Your experience begins from the moment you enter, as our attentive staff caters to your every need. *Warning: Consuming raw or undercooked meat may increase your risk of foodborne illness. A 20 percent gratuity is added for parties of six or more. Brunch is served Sundays from 11 a.m. to 3 p.m. The Savannah College of Art and Design is a private, nonprofit, accredited university, offering more than 100 academic degree programs in more than 40 majors across its locations in Atlanta and Savannah, Georgia; Hong Kong; Lacoste, France; and online via SCAD eLearning. Learn more about SCAD, visit scad.edu. The SCAD Museum of Art is a premier contemporary art museum that features emerging and established international artists through commissioned works and rotating exhibitions. shopSCAD's unique retail gallery in Savannah, Georgia, has delighted window shoppers, tourists and collectors of fine art for the past decade. Fresh, healthy and fast. Whole-fruit smoothies, wraps, coffee, espresso, and grab-and-go snacks. Today's hours: 11 a.m to 6 p.m. Handmade breakfast and lunch selections in a relaxed and stylish atmosphere. Today's hours: 12 p.m. to 5 p.m.
A tad of art and a tad of whimsy. Gourmet coffee, snacks, gifts and inspired art books. An authentic Parisian crêperie from SCAD with sweet and savory delights. 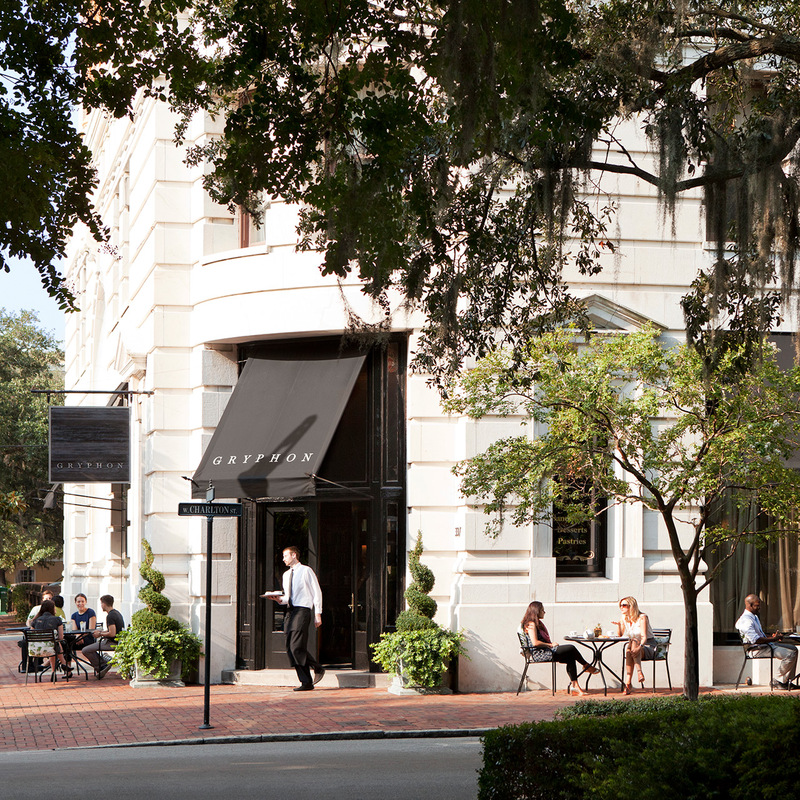 The premier dining destination of SCAD, serving signature favorites and fresh, seasonal offerings.